There are many different flavours of green tea you can enjoy. So long as those green tea leaves are present, you're going to get all those great health benefits that come with it. If you're steeping green tea leaves in hot water, be sure to throw in your favourite herbs, such as ginger, mint or chamomile. For refreshing iced green tea, just let the fresh tea cool at room temperature for 30 minutes and then refrigerate for about two hours. Mint Iced Green Tea: Toss some mint leaves, orange slices and green tea bags into a boiling teapot for a delicious homemade tea. Serve over ice and garnish the glasses with orange or lime slices. 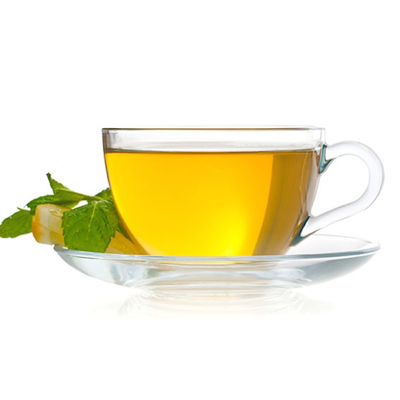 Ginger Mint Tea: Green tea with spearmint is a popular Moroccan digestive. Green tea lives, such as gunpowder leaves, are rolled into small balls that unfurl in hot water to release a slightly bitter, smoky infusion. This refreshing brew is also good iced. Sweeten with honey, if desired.